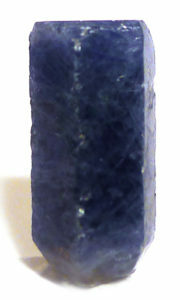 All corundums possess a Divine vibration, the highest of all belonging to blue sapphire. Looking into, or meditating with, blue sapphire is like looking at a twilight sky as the stars emerge, and before it goes completely dark. It draws our attention upwards to the heavens, and motivates a desire for understanding and connection. It is traditionally aligned with the element Air, but at times it resembles looking into a deep, still pool reflecting the stars above, and so it additionally aligns with Water and promotes deep inner reflection. Blue sapphire brings profound tranquillity, and is generally calming, allowing us to release anger and stand back with detachment from conflict. It can be used to balance sleep patterns, and also acts as an antidepressant. 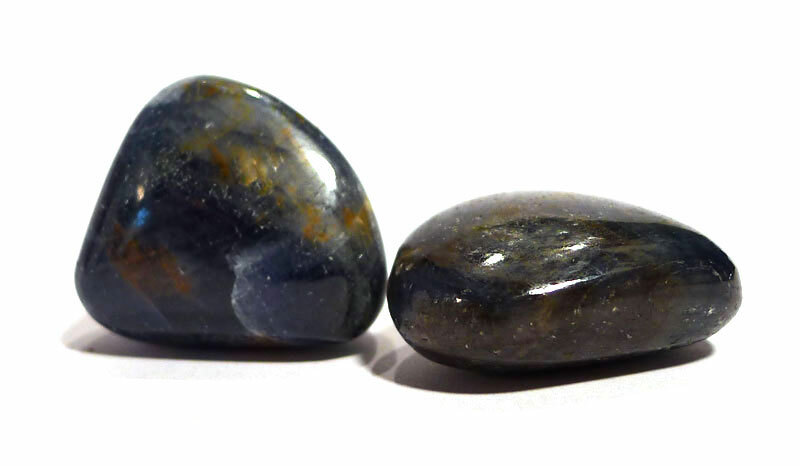 Blue sapphire is a stone of wisdom, knowledge and clear thinking, as well as clear vision (both physically and metaphorically), so may be useful for those who are studying, or wish to further their understanding, including understanding of higher energies. Its alignment with Air means it is intellectual rather than emotional, helping us to cut to the chase and see through to the core of the matter. Physically, it aids healing on all levels, and is particularly good for eye complaints, infection and fever. It was used in the Middle Ages to treat gout and kidney disease. Sapphire surrounds us with a Divine shield of blue light, bestowing gentle protection. It can induce a deep state of meditation, helping us to connect with Source; at the same time, it strengthens our connection and communication with the Angelic realm and with our guides, and supports oracular gifts. Star sapphire bestows the added blessings of optimism and protection to the wearer. Ruby and sapphire are the same mineral – corundum – but weren’t recognised as such until the 18th century. Corundum is natural aluminium oxide, and at 9 on the Moh’s Hardness Scale, it is one of the hardest crystals on earth, just slightly less hard than diamond. Corundum is most abundant in metamorphic rocks, and in some silica-poor igneous rocks. When ruby or sapphire contain rutile crystals that orientate along the growth pattern, cutting en cabochon reveals a six-pointed star pattern or asterism. Blue sapphire’s colouring results from the presence of iron and titanium. The name sapphire usually refers to blue corundum, but is used to indicate every colour variety except red (ruby). Sapphire also occurs in colourless, pink, orange, yellow, green, purple and black, which are collectively known as ‘fancy sapphires’. Sapphires are often pleochroic, so will appear to be different colours when viewed from different directions. They frequently have colour zoning, and will be cut so the colour appears more uniform. Heating, and sometimes irradiation, are used to improve colour and clarity.